Bear, Arkansas. Henton, Illinois. Greenleaf, Oregon. Hammer, South Dakota. Money, Mississippi. Fishertown, Pennsylvania. Cracker, Kentucky. Granted, somewhat oddly named cities. But does the commonality go beyond that? 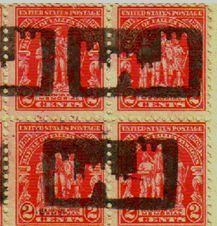 These, and many more such cities across the U.S., are the focus of a rather amusing topical collecting theme related to early 20th century U.S. fancy cancels, that is, pictorial designs that were derived from the town's name. 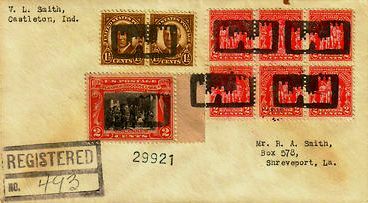 Many of the almost 2,000 fancy cancellations from the period between the early 1920s to the mid-1930s were a result of a directive by the Postmaster General in 1910, and again in 1928, NOT to apply a dated postmark on the front of a registered letter. 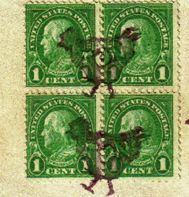 These instructions, however, failed to provide guidance to the local postmasters exactly how to "kill" the stamps on the front of the envelope. 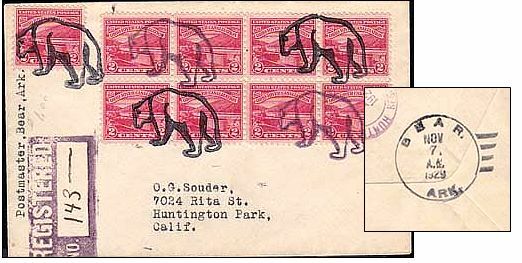 “Bear” Fancy Cancel with Nov 7, 1929 BEAR, ARK circular date stamp on reverse. Some postmasters saw this as an opportunity to create attractive and unusual designs to cancel the stamps. And, before long, collectors decided to carve fancy killers and were able to persuade local postmasters (whose compensation was based on the number of pieces they processed) to use the fancy cancellations on registered mail deposited there. 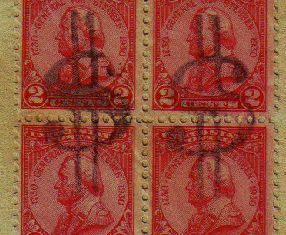 Below are some additional clever pictorial designs for cancellations applied to registered letters. 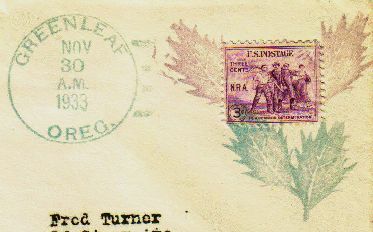 When not being used on registered mail, the fancy “town name” cancellations found many uses on regular mailings, seen below. 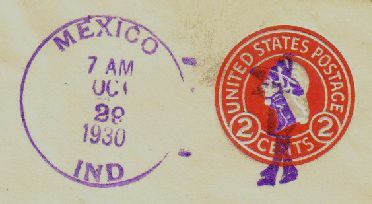 Although these fancy, non-standard cancellations were technically contrary to regulations, the process was not officially halted by Washington until the late 1930s. The desire for philatelists and postmasters to create their unique “town name” cancels then began to fade. But for the span of years in the 20s to mid-30s, a multitude of colorful and interesting cancels were designed and used, many of them are unlike anything ever done before in terms of their creative style and multiple strikes. For additional information about 20th century U.S. fancy cancellations, see: William R. Weiss, Jr. and Foster W. Loso, The Complete Pricing Guide of United States 20th Century Fancy Cancellations (W.R. Weiss, Jr. 1987). 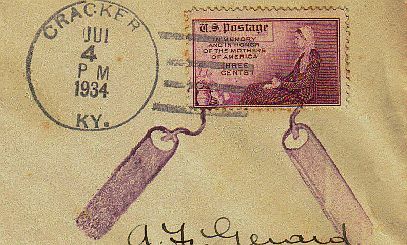 Also visit The Post Mark Collectors Club at http://www.postmarks.org/ for an introduction to postmark collecting, information about the Postmark Museum in Bellevue, Ohio, and links to other postmark collecting sites.